Lyrica was prescribed to me about half a year ago (six or seven months ago) for my fibromyalgia but I got totally shocked when I saw the effects it had on me. I was having some feelings like unreality. Lyrica caused me to feel this way so I could not continue taking it. I decided to stop taking it and I have done it pretty quickly being scared of the further reactions. However, my fibromyalgia got even worse and it was so bad a couple of months ago that I could not resist it anymore so I thought that I might give it one more try. That’s exactly what I have done so now I am on pretty low doses of 25 mg two times per day, sometimes (but rarely) I am taking 50 mg to have a better result. however, the side effects are also increasing, so, I need to choose. Its effects start to work up in a couple of hours so the fibromyalgia pains are nearly totally gone so when I am having a late evening dose it provides me a longer and a better sleep. Now, about the side effects. I still do feel somehow strange when I am under its effects, I know for sure that my intellectual ability is affected more or less. However, I am having much more less distraction by my pains and an increased social interaction with a higher confidence levels. That is why I think the good effects outweigh the bad ones which makes this drug good to take for me. But, I still have to let know the authorities and other deicion making bodies about my reduced intellectual ability and competence. Also it would be much better if I would tell my friends and close people to me about the side effects of this drug, just in case. Moreover, I am afraid that eventually I would start developing a change in behavior, that’s why I have to be careful with this drug, which I recommend to all of you. i was having an unbearable pain in my left thigh that seemed impossible to get rid of. there was nothing I can do about it and the pain was there 24/7, I wasn’t able to do anything because I could think only about it all day and all night long. During the night I was sleeping for no more than 2 hours and then the pain was waking me up each time. Because of so much pain and so little sleep I was tired and exhausted. I seemed to be helpless. Everything changed after I firstly heard of Lyrica. I was put on it, 75 mg 2 timer per day. I had a noticeable relief after only one week, however the pain still persisted so I asked my doctor to do something about it. then he raised my dosage to 150 mg 2 times per day and I got the best feeling in my life. I was feeling like I’m living a fairytale. The pain in my left thigh was completely gone in a couple of days, which shocked me! I am also taking Lyrica for diabetic neuropathy and for fibromyalgia as well. However, with the meralgia paresthetica I had the biggest improvement! This drug is an extremely helpful one! Currently I am having absolutely no side effects. I have had a little dizziness for the last couple of morning when I firstly took it but it disappeared and now I can totally enjoy the effectivess without side effects. Very thankful for this drug! Honestly, i’m using this drug for less than a month but for me it’s been a miracle! I didn’t expected such good results in such short time! I’ve had nearly no side effects at all which is also a god blessed gift for me. I’ve experienced an improved pain relief very quickly and I’m able to sleep a lot better now, especially compared to how I’ve used to sleep before. I’m suffering from fibromyalgia for years now and it’s the first time now, when I’m feeling almost completely normally. I don’t suffer from big pains on a daily basis anymore and this makes me wanna jump out of happiness. The side effects are very mild and they seem to decrease gradually. Among side effects I can mention a little bit of lightheaded feeling as soon as I started to take the drug but now it’s going away. The sleeping feeling I’ve had initially is also going away. Anyway, it’s hard for me to complain when I’m having such results! I’m feeling young again and this is great! By the way, in the past I’ve tried Cymbalta, tramadol as well as Celebrex and they helped me but none of them worked as good as lyrica does. I really hope that this drug would work in years as well as it does now! I hope this would help somebody out there! Wish you to be healthy! I was suffering from neuropathic pain and I wasn’t living my life anymore because of it. I was having severe neck pain. These pains were so bad that they later were causing me migraines frequently. That was the worst period of my life, EVER! I visited few doctors and they prescribed me several medicines and narcotics but none of them seem to be good. Migraines and neck pains were still occurring. Later, my doctor has finally prescribed me this lyrica. I was suffering from neuropathic pain for two years and in all those approximately 700 days I was feeling pains. Only after 3 days of taking lyrica no more pains occurred! lyrica is a god send for me and I’m very thankful to it. By the way, this new year was the best I’ve ever had. I could finally enjoy a painless new year night! I was having shooting pains down my arm until my hand from a cervical and thoracic issue. This is the reason why I have started taking this product about a week ago and since the first shot until now I have only one word to describe it, it’s just amazing! My family Dr prescribed it to me after many other prescriptions that were useless. I was having big troubles with walking, I could barely walk, at night I was struggling in terrible pains, they were so big that I didn’t had a good sleep for months. I understand that it kinda seems unbelievable but after only 1 dose I felt a total difference. Currently I’m taking just 75mg before I go to bed. Sincerely, I do have a feeling of dopiness when I’m waking up in the morning but it is usually disappearing a couple hours later. I can rush this process by taking Tylenol Motrin but I don’t really want to take all kind of medications so I don’t take it each morning. I do have some side effects but they are not so severe so I can easily deal with them. I’m having swollen eyes and crusted eyes, besides this I am tired so need a nap every day. As I said, it’s not a big problem so the benefits are definitely outweighing the bad effects. I’m diagnosed with neuropathic pain. I have noticed that the pill is working for about 20 hours for my nerve pain and after that it starts coming back. Anyway, 20 hours seems to be enough for me. I’m very pleased with the effects and other than those mentioned side effects, everything is normal. I can recommend it. 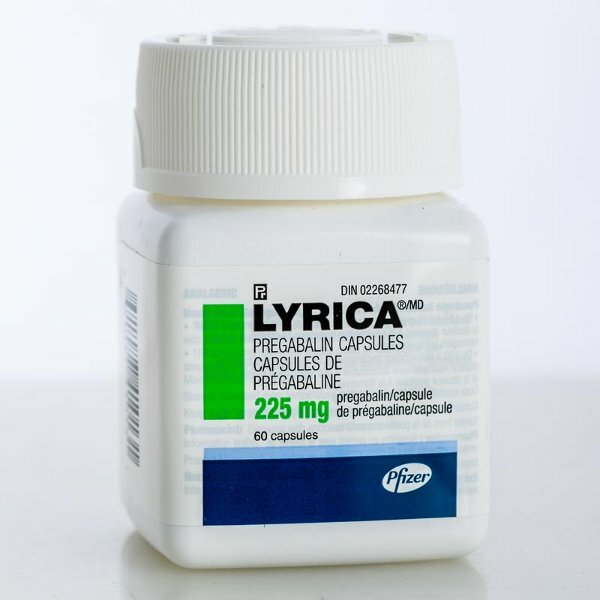 I was diagnosed with fibromyalgia a really long time ago and I don’t really know why but doctors never mentioned about lyrica in all those years of suffering from pains, problems with sleeping and restless leg. Lately my problem got even worse, the pains were even more insupportable due to stress so I told my boss I need a medical vacation since I cannot work due to my immense pain. Well, I was feeling miserable! Went to the doctor and told him I cannot continue like that, I need some help or I’m partially dead! Finally he told me about this drug! Maybe he didn’t knew about this product earlier or I don’t know why he never mentioned it before but now I’m living a new life! After only the first capsule (50 mg) I was given of Lyrica I was almost completely pain free. I could not believe that it can be possible: so much pain I was suffering for so much time was subdue in less than 2 hours! Also, that was the first night from the last years I had 9+ hours of sleep without waking up due to pains. I guess I’m the patient on whom this drug worked just perfect, I guess from all the patients using Lyrica, it worked the best on me because I thought I’m living in a fairy tale after that shot! I’m usually not writing any drug reviews but this is just a Godsend! God bless that person who made it available on the market! I can live my life now! Other reviews I have read before I first took the Lyrica medicine made me nervous and hopeless. It turns out that this is not a drug, but a God’s gift. Maybe those people who wrote back reviews about this drug were taking it not as prescribed or I don’t really know what happened them to have so much and severe side effects but for me is a drug that has miracle properties for me. I was struggling with severe pain for a really long time and other drugs seemed useless. Some of them worked but I had nasty side effects with them. I guess this is another reason why I was quite nervous about the side effects this drug could also have. Only now I can see how different we all are and how different our bodies respond to several drugs. Anyway, I was already feeling much better after only 1 pill of Lyrica. Now, after a week of taking it I haven’t had any of side effects and haven’t had pains anymore. I am very and very thankful so I thought it is going to be great to let others know that this drug is worth to try it out. You never know what works on you and what does not, neither doctor can tell this, so give it a chance.